Flue Pipe Diameter 125mm / 5"
Our prices for stoves on our website are FREE SHIPPING to mainland UK, excluding Highland and Island areas. 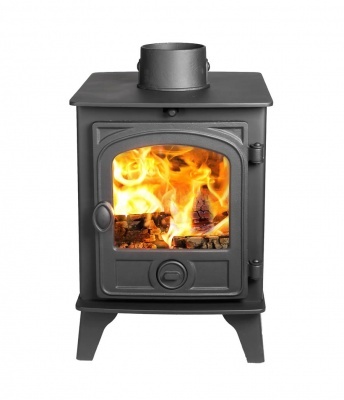 However, all clearance / special price / ex display stoves are priced EXCLUDING shipping as rock bottom pricing. Shipping prices to Scottish Highlands and Islands, offshore or Europe are typically subject to surcharge. Many of these are stated at website checkout. If there is no shipping option to your location, please contact us prior to purchase. All UK mainland stove deliveries will arrive on lorries with tail lift and pallet truck, so you should not be required to help lift the pallet from the lorry. The courier will be able to wheel it off the lorry for you on to a hard standing area and will get as close to your house as possible - but is NOT permitted to assist in carrying the goods into your home. In the event that there is no one else at home to help you get your stove indoors - we wrap all pallets well in plastic pallet wrap which will keep a stove dry should it need left outside for a few hours. Please note that a signature IS required for all stove deliveries. If there is restricted access for a large lorry to your property, please contact us before purchase to discuss. It is of utmost importance that when signing the couriers delivery sheet you INSPECT GOODS ON DELIVERY. Failure to do so results in the voiding of transit insurance as glass is only insured to point of delivery and unless signed as damaged, we would not be able to claim for this on your behalf. We generally ship on the day, or day following order where goods are showing in stock. For those not in stock, an estimated lead time for incoming stock is shown. Do note that with next day delivery you will need stay in as they will NOT call you prior to delivery. TWO Contact phone numbers are required for ALL stove deliveries please. Unfortunately, due to increasing amounts of online fraud, we can only offer deliveries to the registered card address unless payment by bank transfer for your order is received prior to dispatch. 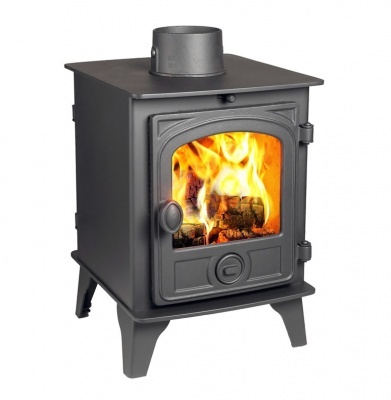 Of course, you are also very welcome to collect your stove from our main warehouse in Attleborough / Norfolk. If collecting from store, payment must be made in store and cannot be accepted by phone or online. If you are in Scotland, you may be able to collect from our Hamilton depot - but it is important that you call us to confirm this first.